Choice a Blue and Black seat Upholstery with an attractive Silver frame. 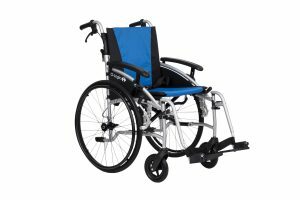 Is this the Best Lightweight Wheelchair in the UK? Possibly!